He does have Stealth and Teleport to his advantage true but if I recall his teleportation was specifically "blink esque" which is to say its relatively short ranged. Also, detectors, such as scanners, electrical detecting devices and certain sensitive creatures could see him through the cloak, this may be EC with not only the force but any sensors the empire has access to/any passively protecting the death star. His biggest weakness (Zeratul) in comparison to his opposition is hes effectively naked, if his shield gets diminished I suspect he will die quickly, which begs the question werent there calcs done that found the endurance of a protoss shield? Pretty sure that was the issue with all dark templar, they went down quick when found but were devastating if left stealthy and to their own devices. Glass cannons. So, what about that Samus calc I just posted? From anyone else's perspective, Samus would be moving too fast. From her perspective, everyone would be moving too slow. I'm not sure how fast everyone runs, but even if anyone else could move at the speed of sound, they would only be moving 10.09 m/s from Samus' perspective. Kitten Lord wrote: He does have Stealth and Teleport to his advantage true but if I recall his teleportation was specifically "blink esque" which is to say its relatively short ranged. Also, detectors, such as scanners, electrical detecting devices and certain sensitive creatures could see him through the cloak, this may be EC with not only the force but any sensors the empire has access to/any passively protecting the death star. Is there are reason why he could be seen through the cloak? Sound, infrared, or what not? It's already established that the force can sense invisible people (or blind force users finding people). But, not through cameras yet. Kitten Lord wrote: His biggest weakness (Zeratul) in comparison to his opposition is hes effectively naked, if his shield gets diminished I suspect he will die quickly, which begs the question werent there calcs done that found the endurance of a protoss shield? 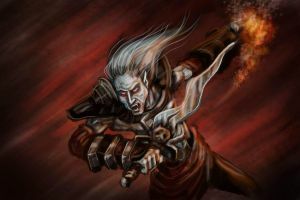 Pretty sure that was the issue with all dark templar, they went down quick when found but were devastating if left stealthy and to their own devices. Glass cannons. From what I seen though, Starcraft has hyper sonic rounds thanks to the Terran Marine's Gauss rifle. I remember there being a calc for a depleted uranium round, but that was on the old site. Mea quidem sententia wrote: So, what about that Samus calc I just posted? From anyone else's perspective, Samus would be moving too fast. From her perspective, everyone would be moving too slow. I'm not sure how fast everyone runs, but even if anyone else could move at the speed of sound, they would only be moving 10.09 m/s from Samus' perspective. Due to it using Aeion energy, I think that would be better off used in fights rather than travelling since there's no way of replenishing energy on the Death Star. If the force is EC with Aeion energy, maybe she could replenish it. Her basic speed is already too fast for normal humans in a short range anyway. reason why he could be seen through the cloak? Sound, infrared, or what not? Its unclear what the races in SC use, we just know technology, special senses and such can see him. I am not sure how detailed a comparison we can make more than, "if" SW has technology enough to employ the same detection methods whatever those technologies may be he may not be as invisible as he would hope. Sound, infrared etc are good suggestions. I don't recall what sensors the storm trooper helmet has or what the security cameras on the DS use. The stormtroopers do have "elaborate vision processors;" whatever they mean by that. Alpha or Omega wrote: Due to it using Aeion energy, I think that would be better off used in fights rather than travelling since there's no way of replenishing energy on the Death Star. If the force is EC with Aeion energy, maybe she could replenish it. Maybe, but Samus could just deactivate it whenever she wants. Time for her would be slower. So, if I'm doing this correctly, 1 second for Samus would be like 29 milliseconds. With all Aeion tanks, Samus has 22 seconds to maintain phase drift. Since time is relative, it might feel longer for Samus. Probably fan calculations. I've seen people throw out numbers anywhere between 30 million to billions. Friendlysociopath wrote: Hadn't thought of that. The characters that can't hide would be more likely to draw Stormtrooper attention and slow them down, meanwhile, the stealthy ones are more likely to have free reign and sneak up to take down the target when he's occupied. Two bright colored people of mass destruction carving and blasting their way through stormtroopers is definitely going to draw attention away from Shep and Zeratul. Though the problem with that is they are probably going try and distance themselves from The hunter or marine but they'll likely to be the first to get to Vader. Or rather, get his attention. Kitten Lord wrote: He does have Stealth and Teleport to his advantage true but if I recall his teleportation was specifically "blink esque" which is to say its relatively short ranged. Teleporters only real function in a setting like this would be to easily bypass obstructions. Kitten Lord wrote: Also, detectors, such as scanners, electrical detecting devices and certain sensitive creatures could see him through the cloak, this may be EC with not only the force but any sensors the empire has access to/any passively protecting the death star. Even Geth, who can detect and see people through obstructions, can't see through Shepards level of cloaking. Though, Zeratul does seem to have this ability to shutdown the area he is in. SO there's that. Terrans: hypersonic 8mm armor-piercing spike. Zerg: hypersonic 30 cm armor-piercing spines. Something capable of taking any amount of that I would not call a glass cannon. Alpha or Omega wrote: I don't recall what sensors the storm trooper helmet has or what the security cameras on the DS use. Automatic polarizing and anti-flash blinding lenses protected the trooper against intense glare and provided them with enhanced combat vision or "Holographic Vision Processors" (which allowed vision through many barriers such as smoke, darkness and fire. 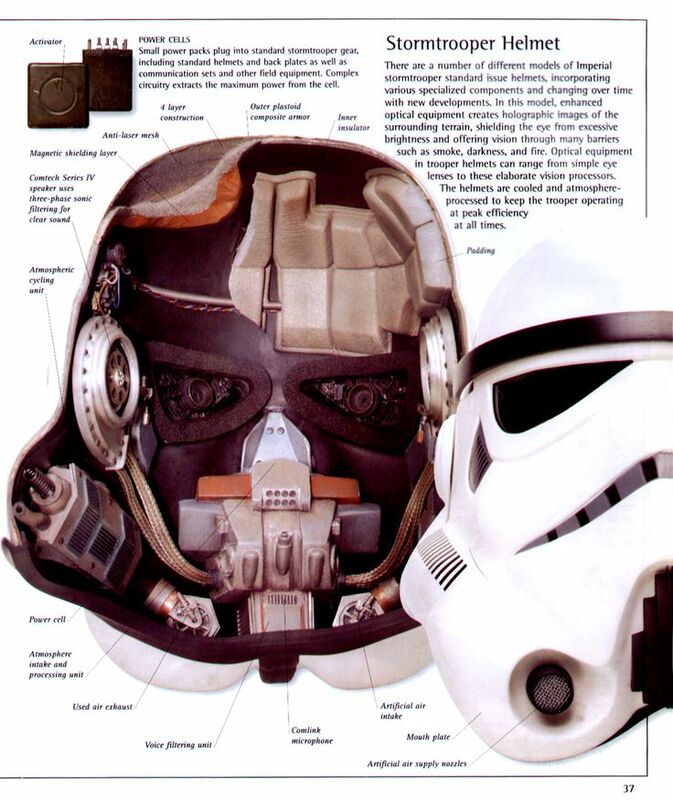 Multi-Frequency Targeting and Acquisition System (MFTAS) helped with the stormtroopers' perception in darkness as well as smoke and other visibility obscuring conditions. Does that need to be toggled on or no? The current canon doesn't seem to be giving Stormtroopers anything valuable so far. Alpha or Omega wrote: Does that need to be toggled on or no? I believe toggled- I can't imagine how fucked up multiple viewing modes like that would be if they were all on at once.